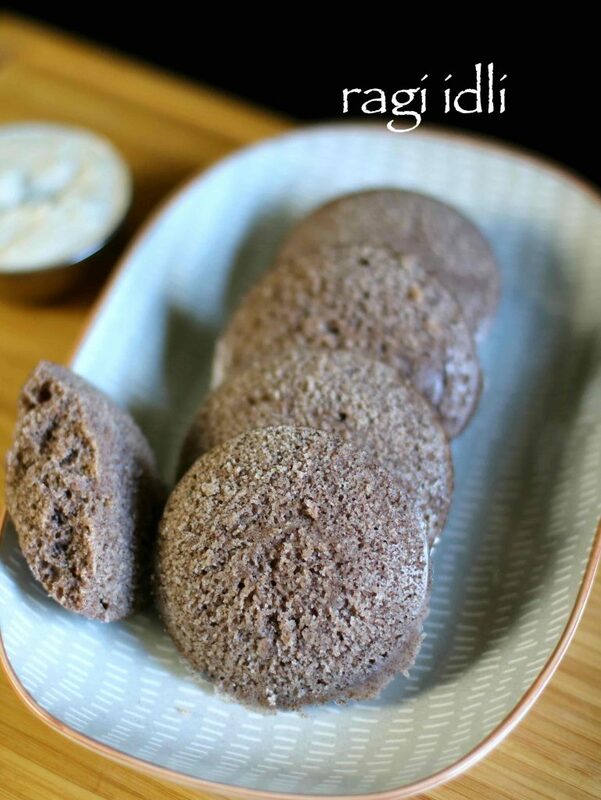 ragi idli recipe | instant raagi idli recipe | finger millet idlli recipe with detailed photo and video recipe. basically, a steamed idli recipe prepared from finger millet. finger millet idli taste great when served with coconut chutney and sambar. 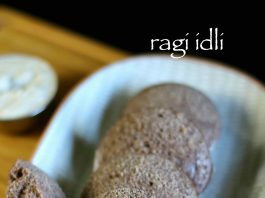 ragi idli recipe | instant raagi idli recipe | finger millet idlli recipe with step by step photo and video recipe. ragi is a staple food of karnataka and largest cultivation with around 58% share. 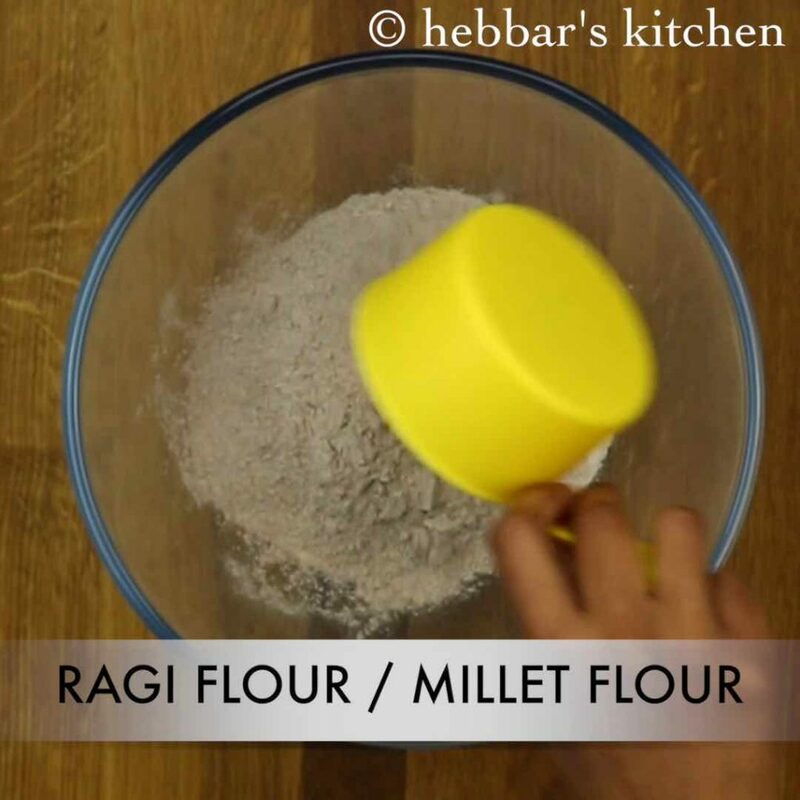 raagi is popularly known as ragi / finger millet / kezhvaragu. this idli is prepared with just 3 main ingredients: semolina, raagi and curd. 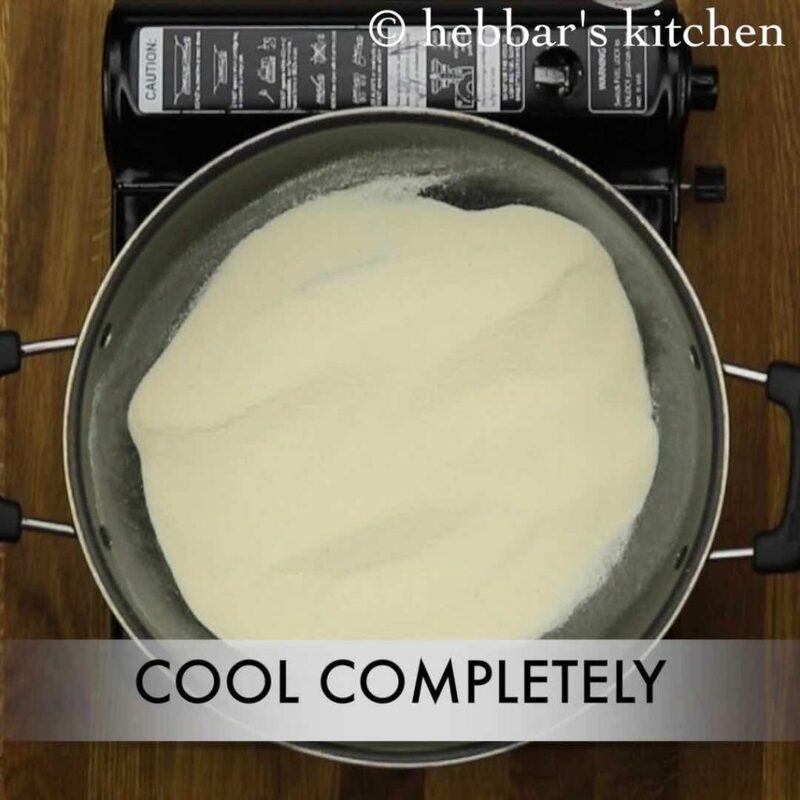 not to forget to add baking soda, as it helps idli to make extra fluffy and soft. 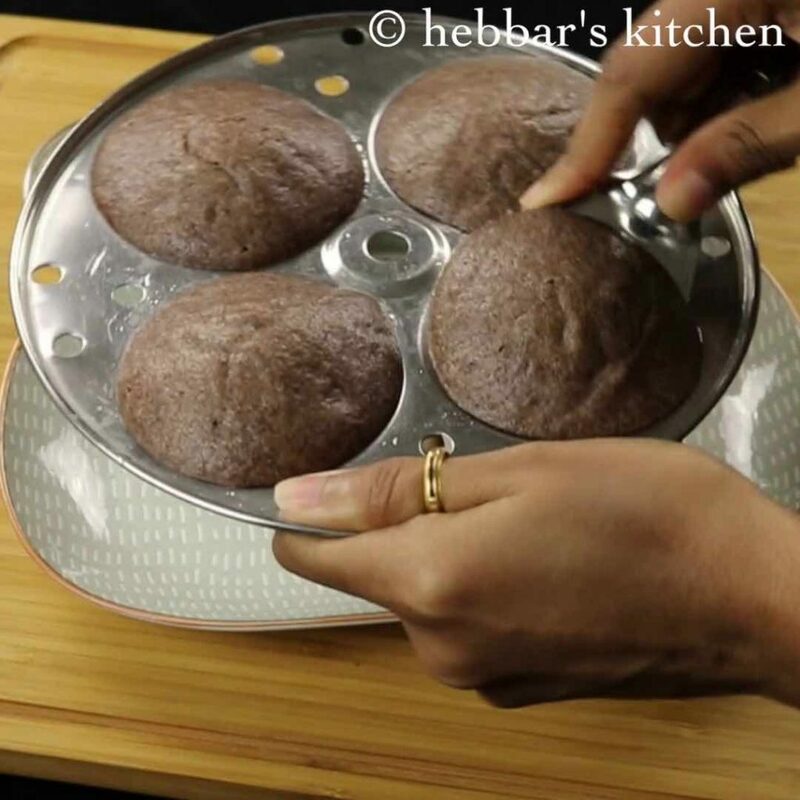 furthermore, you can also prepare ragi idli more healthy by mixing ragi flour with prepared idli batter and ferment overnight. well, i am not a great fan of ragi recipes. however, mom prepares variety of ragi recipes as my granma is diabetic. ragi is very good source of proteins and minerals. also they help in controlling diabetes and cancer. so weekly once, without any fail mom makes sure to prepare ragi dosa, ragi rotti and ragi mudde. however, i started to prepare recipes from finger millet as my husband likes to have more healthy breakfast. moreover, this recipe does not require any soaking, grinding or fermentation process. furthermore, i would like to highlight some key suggestions for perfect soft and spongy ragi idli. firstly, use sour curd to soak rava and ragi flour. secondly, make sure to roast the rava well, else the idli with turn sticky and hard. thirdly, add baking soda just before steaming. otherwise, idlis will not be spongy. 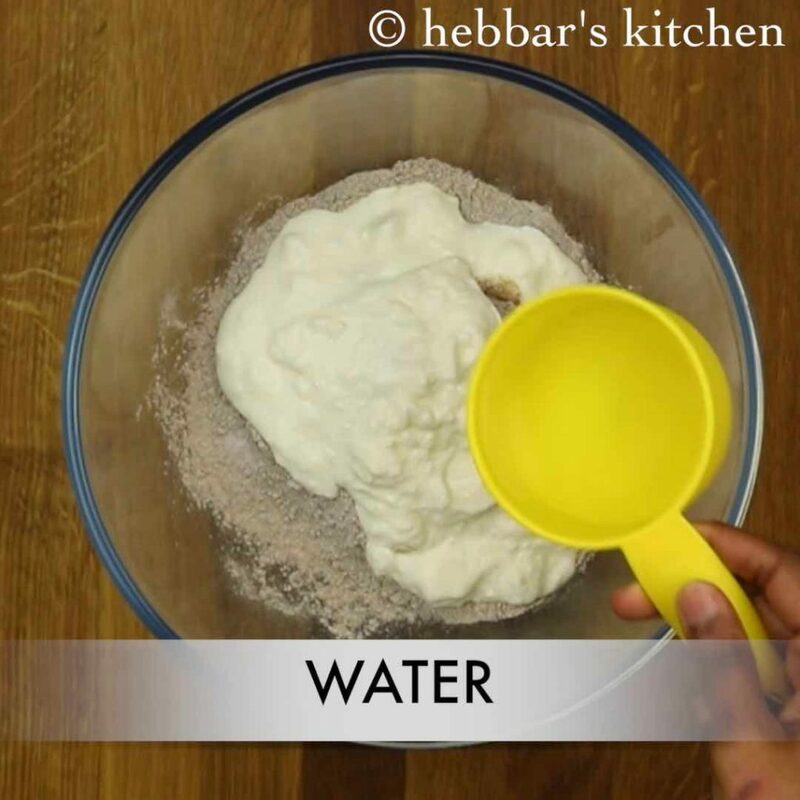 lastly, you can also prepare the idli’s by adding tempering to batter. you can add mustard seeds, green chilli, ginger and carrot while tempering and mix it with idli batter. finally, check my other idli recipes collection and indian breakfast recipes collection. specifically, instant bread idli, rava idli recipe, oats idli recipe, sabudana idli, poha recipe. also, checkout my chutney collections and sambar collections. furthermore, do visit my dosa recipe collections too. 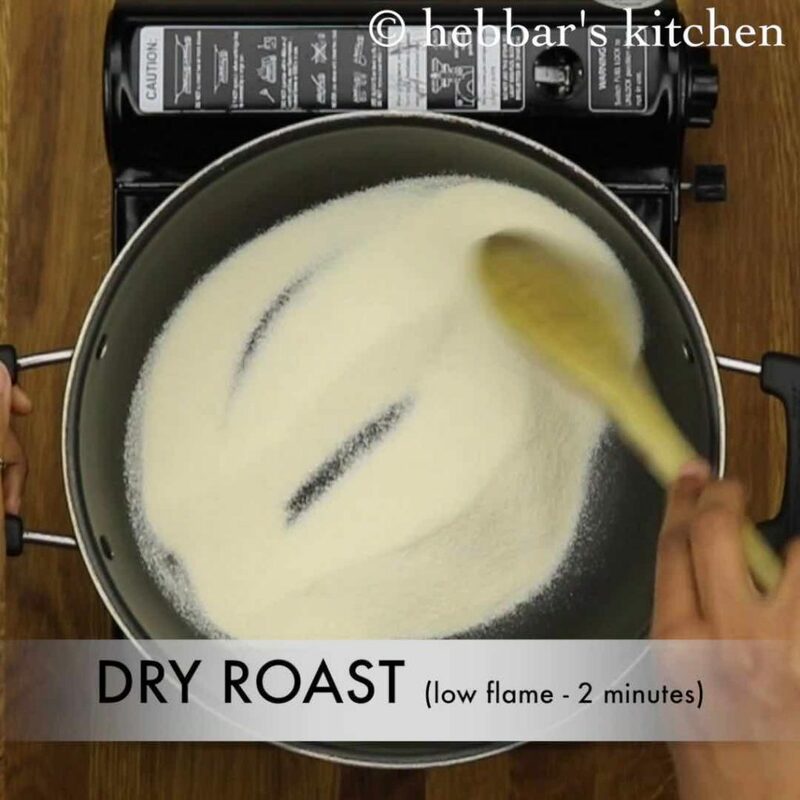 firstly, dry roast the rava on medium flame for 2-3 minutes. further, cool them completely before preparing idli. 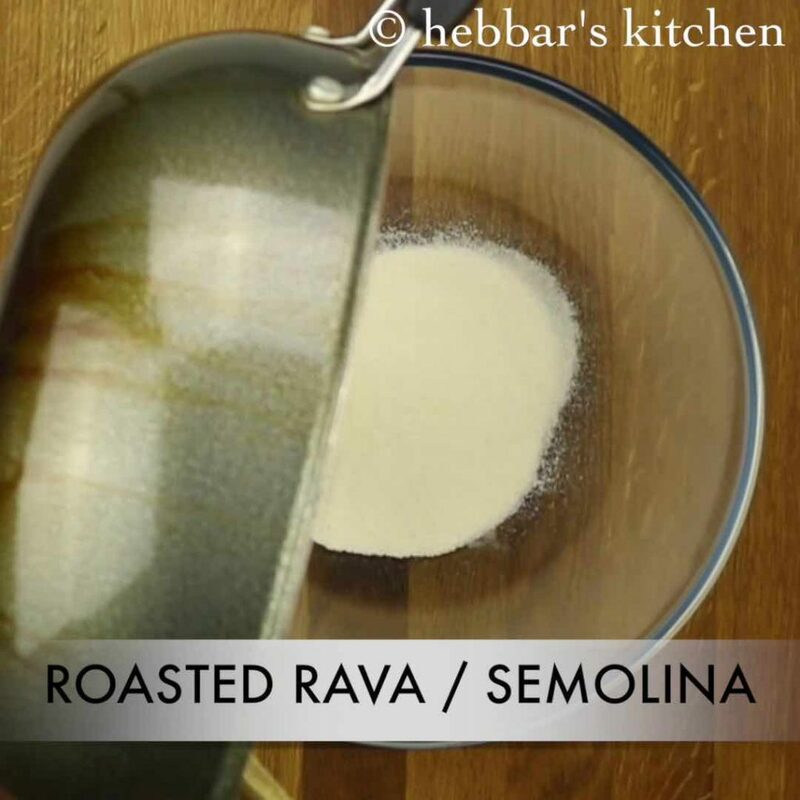 now transfer the dry roasted rava to a large mixing bowl. also add ragi flour to it. furthermore add salt and curd. 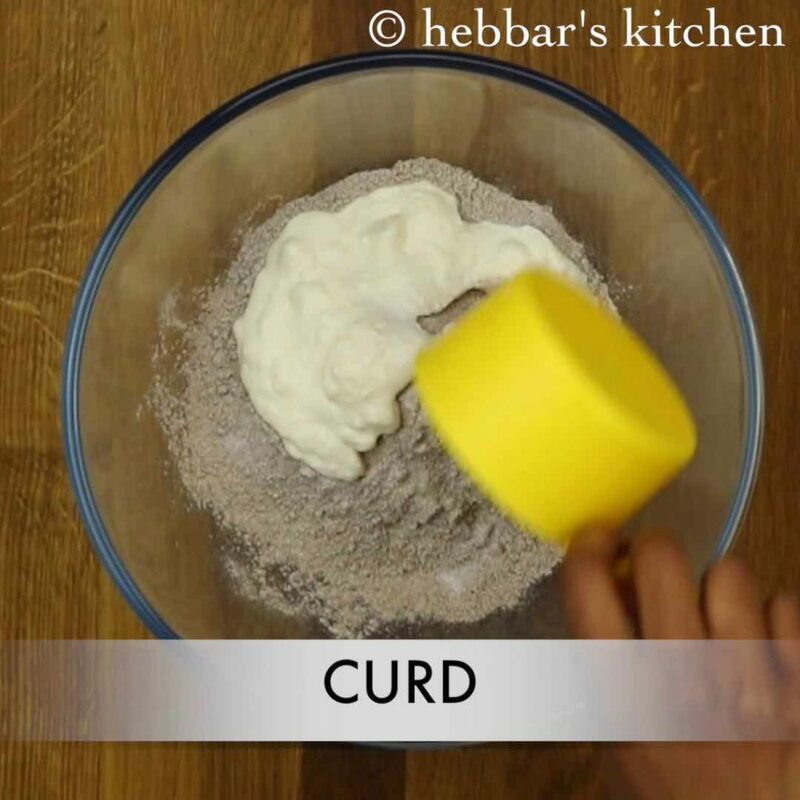 add water as required depending on curd thickness. give a good mix and allow to soak for 30 minutes. after 30 minutes, mix well and add water if required. 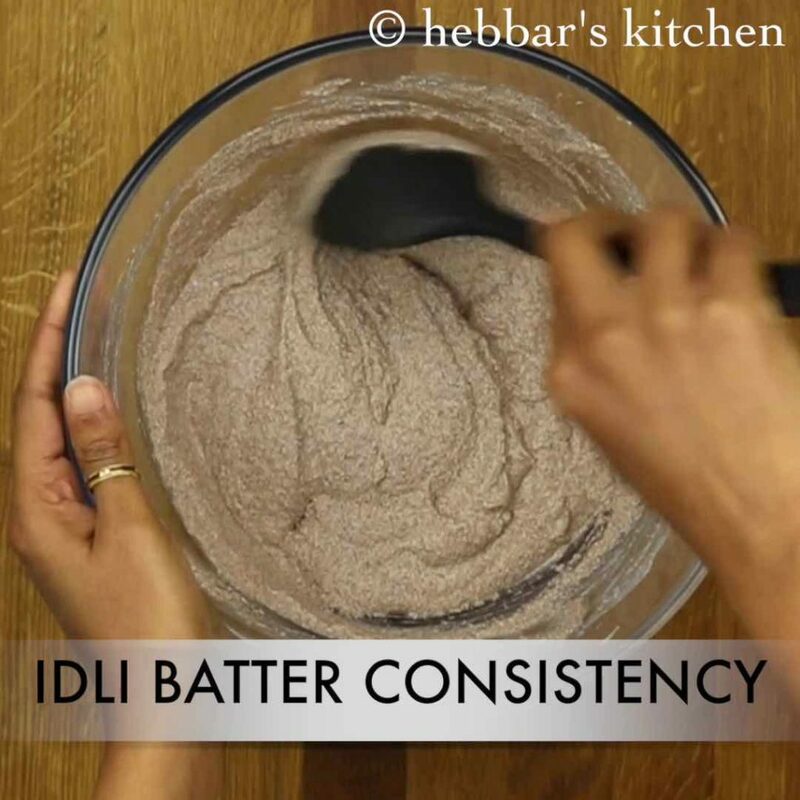 get to idli batter consistency. just before steaming add a pinch of baking soda and mix well till it turns frothy. 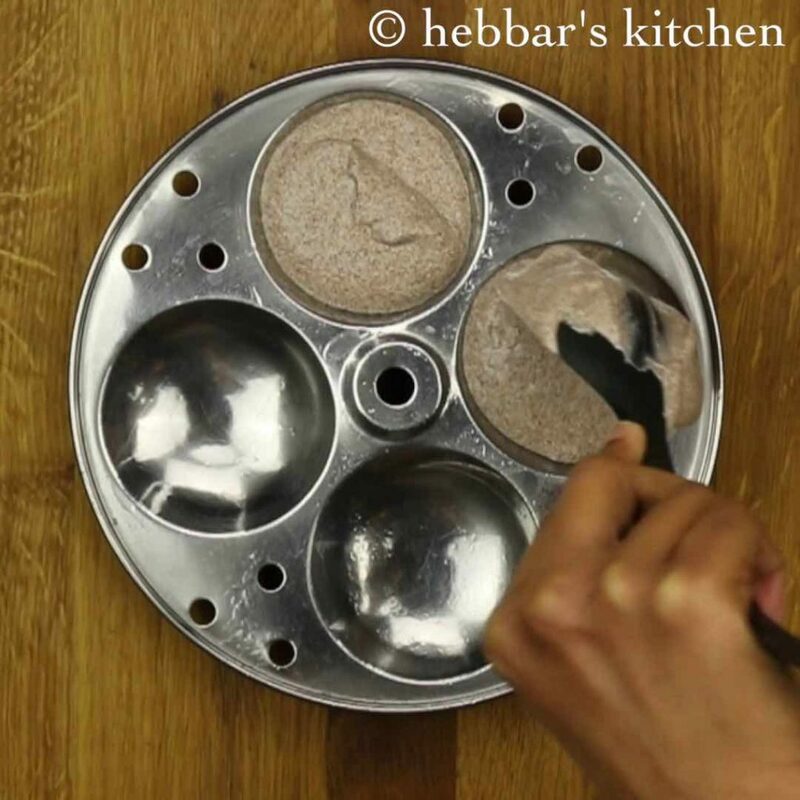 brush the plates with oil and pour the batter immediately into the idli plate. do not rest the batter. also as other idlis you have to steam it for 8-10 mins on medium flame. furthermore, allow it to rest for 5 mins then unmould. finally, serve hot with coconut chutney and sambar. also add ragi flour to it. 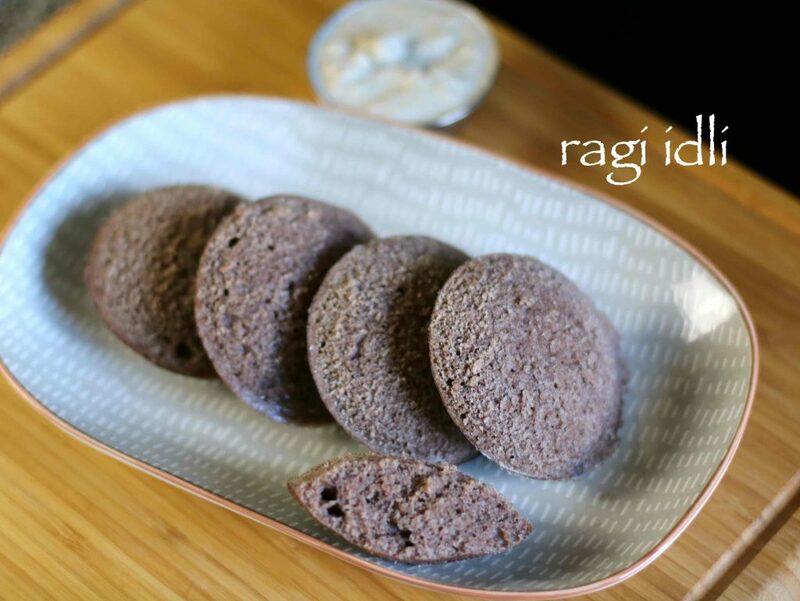 always keep the ratio of 1:1 with rava and ragi flour. else idli will taste bitter. firstly, always add baking soda / eno fruit salt right before steaming. 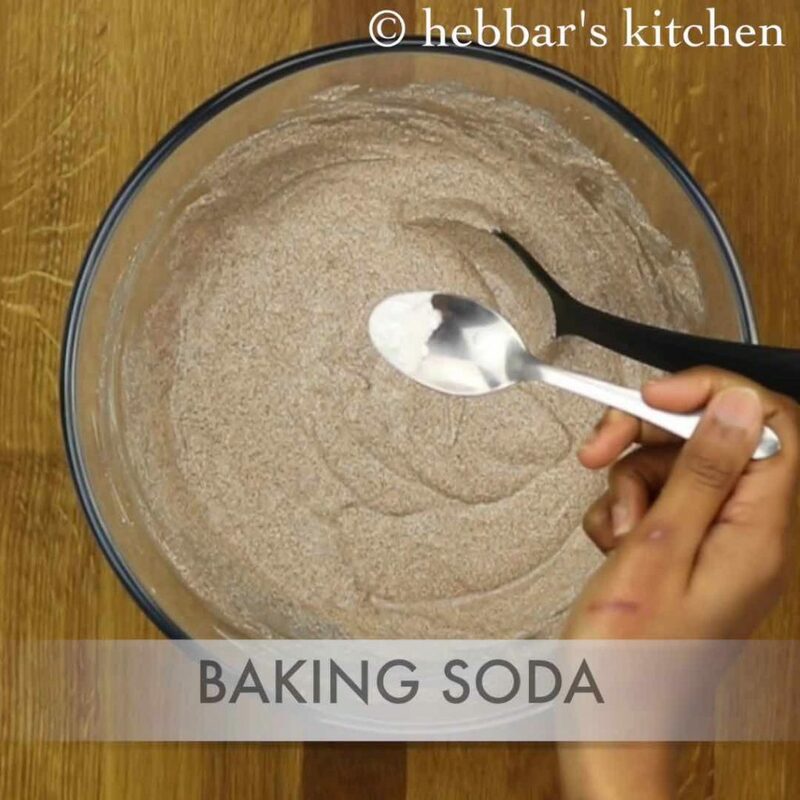 in addition, you can add baking soda in batches and steam them if you preparing in large quantity. furthermore, you can also prepare the batter before in hand and store in fridge. remember just before steaming add baking soda. 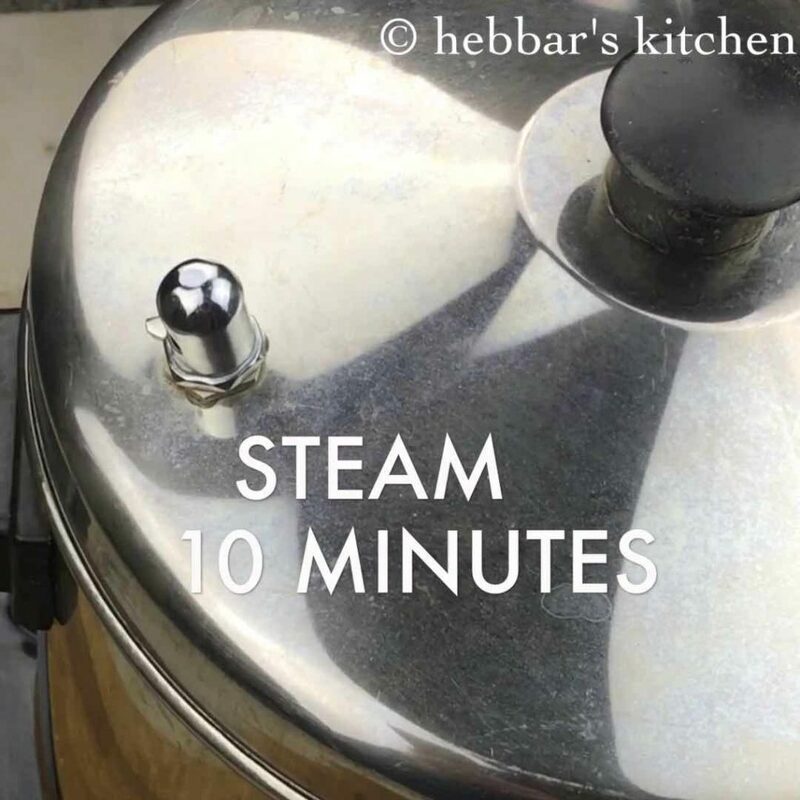 finally, steam the idlis on medium heat to get the soft idlis. Awesome ones .. I have tried most of them.. Live saving recipes for a working woman… Thank you very much. Hi – Looks yummy. Does this mixture store well for a couple of days in the fridge? 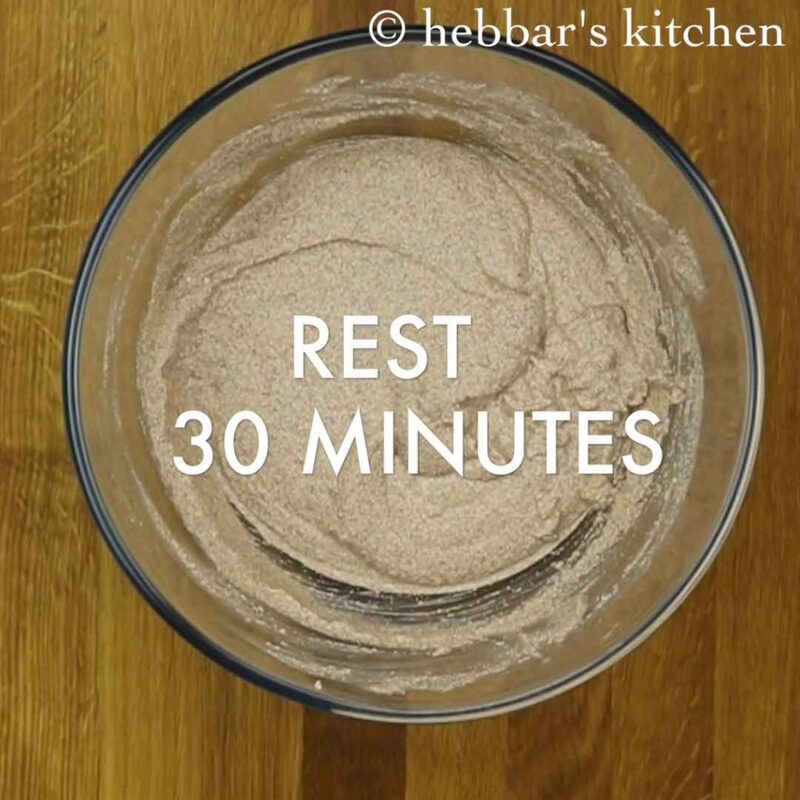 Its a quick-fix for a healthy breakfast. I tried it, tastes yummy as well! !